Stiles Machinery scheduled a manufacturing symposium Jan. 24-25, 2013, at its showroom in High Point, N.C.
• Three work cells showcasing a variety of machinery configurations. • IntelliStore panel management system for material management and labor efficiencies. • Sanding and finishing techniques within the largest finishing and digital printing lab in North America. 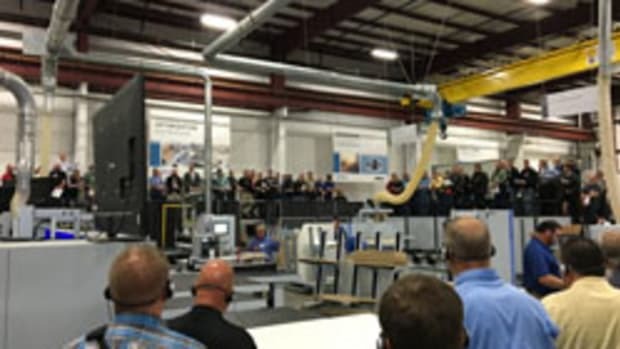 Presentations will cover industry trends, the latest developments in machining technology and the role the tax code can play with helping purchase new equipment. Attendees will also discover new ways to help their company be more competitive and profitable. Pre-registration is required. For details, visit www.stilesmachinery.com/events or contact Terry Norris at 704-861-8239.